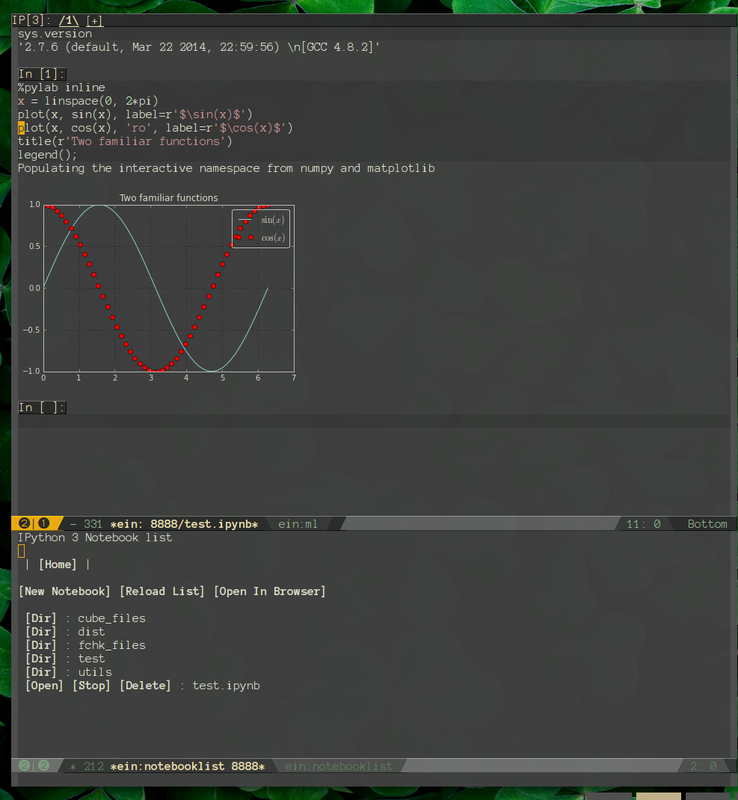 This layer adds support for the package emacs-ipython-notebook. Do not hesitate to check the original package README here. Also the wiki has lots of informative stuff. This is a WIP, feel free to collaborate. To use this configuration layer, add it to your ~/.spacemacs. You will need to add ipython-notebook to the existing dotspacemacs-configuration-layers list in this file. 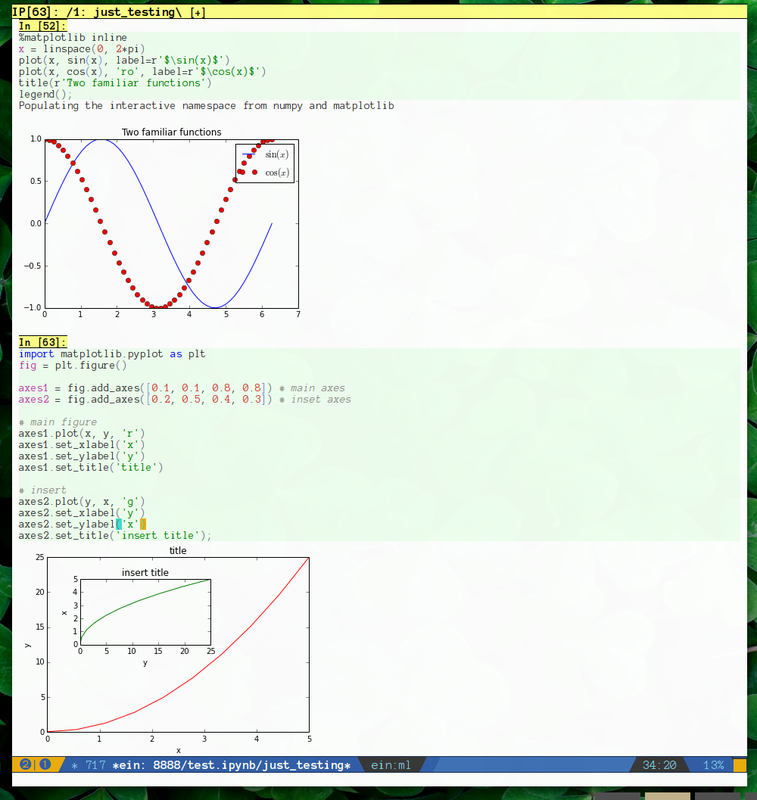 Note that IPython Notebook has now been renamed to Jupyter Notebook. The key bindings can be used through a transient state or the usual evil-leader. Once you are in the ipython notebook you can activate the transient-state with SPC m .
The following table lists the keys. Use them as listed in the transient-state or prefix with SPC m to use with your evil-leader. Also SPC f s saves the notebook like you would a regular buffer. If you want to have a matplotlibrc that looks good with a dark background try using this matplotlibrc. Plot background is always transparent by default so it will look okay for most dark themes out there.